Our family has been blessed with a special sister, Julie Davis, who was born with cerebral palsy. She has never been able to walk, and has not been blessed to enjoy the education, travel, physical activities and joys of marriage and children like we have. 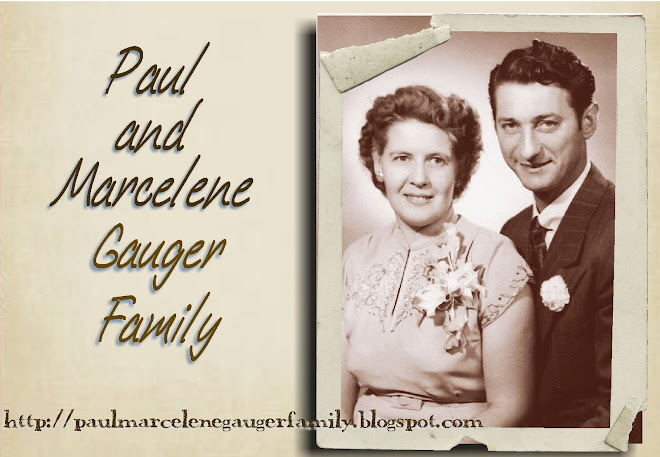 Julie was the third child of Marcelene’s first marriage, born in November 1942. The Christ-like love and attention given to Julie by our mother has been and will always serve as an example to me, an example that I have yet to fully emulate. Julie was a special friend of mine as I grew up in American Fork because we shared the basement of our house, with bedrooms on either side. She shared her love for music with me and music has become a favorite hobby of mine. The following image of Julie when she was seven years old was taken from the Salt Lake Tribune, Sunday, March 13, 1949. 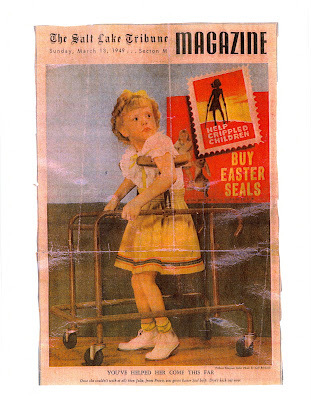 Julie was the poster child that year for Easter Seals. 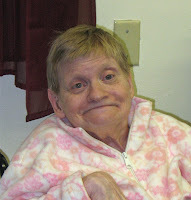 Julie has lived for the past several years at the Heritage care facility in American Fork, Utah. Heritage is the old American Fork Hospital and is operated by friends of our family. Julie recently reminded me with a bit of boasting that she is now the resident who has lived the longest at Heritage. After living for several years under Mother's watchful eyes, Julie has viewed her stay at Heritage as finally "gaining her independence" and living on her own. This comfort and acceptance of who she is and where she must live has been a blessing to our family. Katie and I recently visited Julie and she shared some of her memories of Grandma and Grandpa Bennett. Talking of these special people brightened her countenance and put a smile on her face. Julie did not remember much of Grandpa Bennett for he died when Julie as just three years old. Her first recollection of Grandma Bennett was that Grandma called Julie her "special pal." Julie remembered that Grandma Bennett stayed for an extended time at our Aunt Elaine's home in Midvale, and that our mother, Marcelene, would take turns with her sister, Elaine, in staying with Grandma. Julie would often go with Mom when she would visit or care for Grandma in Midvale. Julie described that Grandma's bed was placed inside the front room of Aunt Elaine's house so that Grandma could see outside and could see all visitors that came to the house. Julie remembered one day Aunt Elaine called Mom to tell her that Grandma was too sick for Mom to come up and watch her. 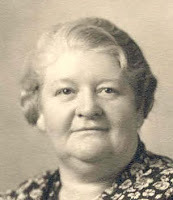 The next day, October 14, 1955, Grandma Bennett died. Julie was 13 years old at the time. Julie also has vivid memories of Grandma Bennett dressing up as Santa Claus, and Santa visiting her as a little girl. This account of Grandma as Santa Clause is described in detail in another post to this blog. Julie reminded me of a special story about Grandma and Grandpa Bennett. 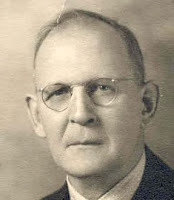 I have also referenced a personal history of Grandpa Bennett to add details to the story. From the time that John was able to work in his youth, he worked at the Knight Woolen Mills in Provo, Utah. He carried on this profession after his marriage and on toward the end of his life when he retired. While he worked at the Woolen Mills in Provo, many times his children would take his lunch to him. The children loved to take his lunch to him but they were afraid of the big whistle at the mill that blew every day at noon. After delivering his lunch, John would take them by the hand and walk with them down past the whistle so they would not be afraid. Sometimes they would take their lunch too and eat with their father. This was a treat for the children. They would all sit on the big piles of wool and eat with John. On July 30, 1918, the Provo Woolen Mills caught on fire. When Mary heard about the fire, she was washing. She ran down to the Woolen Mills in her housedress. Many people came to watch the fire and it had been roped off all around the grounds. Mary couldn’t see John outside, so she tried to get by the firemen, but they would not let her in. Mary said she was going in anyway. She told them her husband John was deaf and could not hear the alarm and would still be working. She told the guard that she was going in, but the guard said she couldn’t go past the rope. She straightened up, her black eyes flashing, and slipped under the rope. When the guard tried to stop her, she said “I mean what I say. I am going in after my husband!” She was right when she said he did not know about the fire. He saw people running past him, but did not pay any attention to them until someone touched him and told him the mill was on fire. He was the last to come out. When he saw Mary and she saw him, they threw their arms around each other and they both cried. 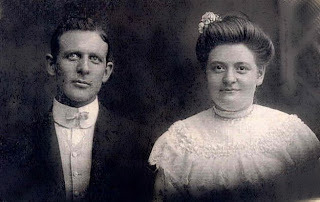 They were always a very loving and devoted couple.